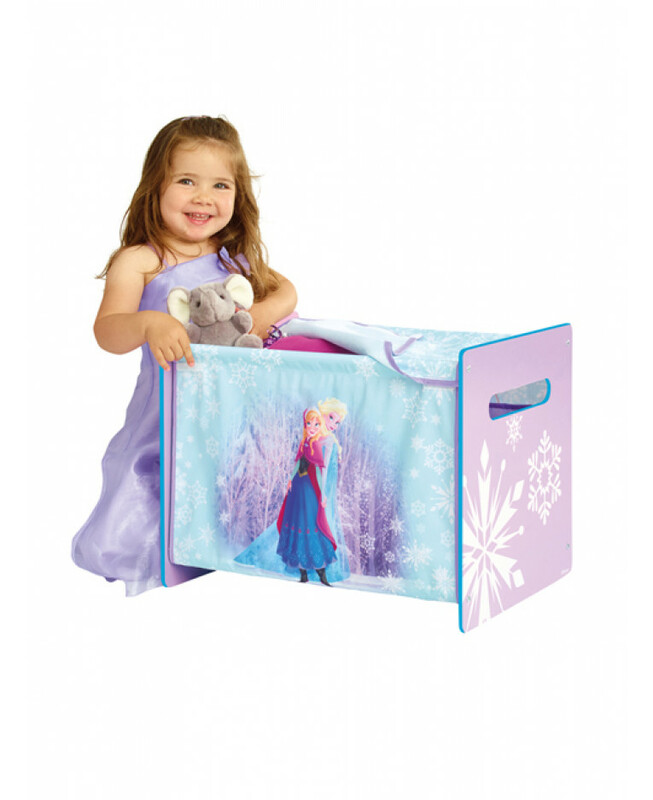 Encourage your little one to tidy away their toys and games with this official Disney Frozen Toy Box. 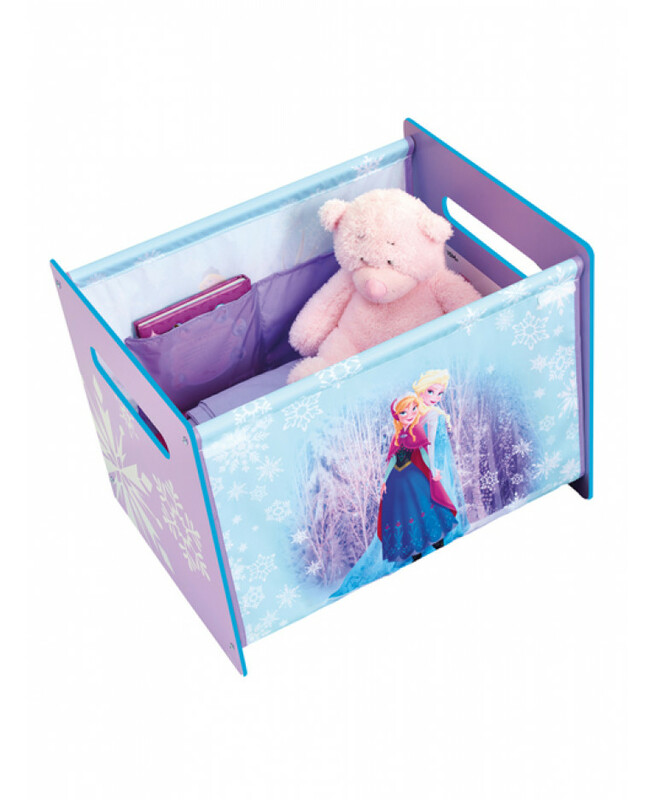 Made with a MDF frame and sturdy fabric body, it is designed to be age appropriate and ideal for bedrooms and playrooms alike. 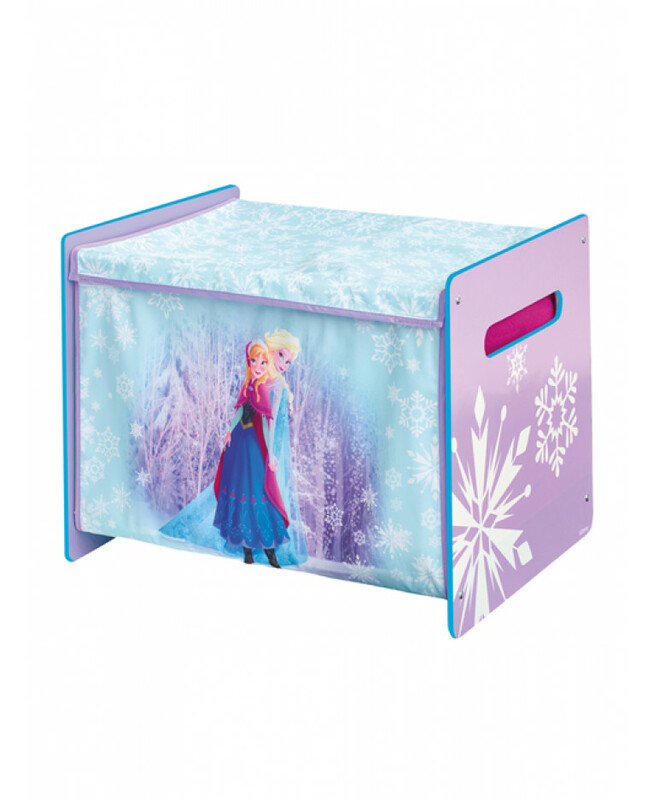 It is designed below 60cm in height, just the right height for little princesses, so they can reach into it and it is safe to be free standing in their room. 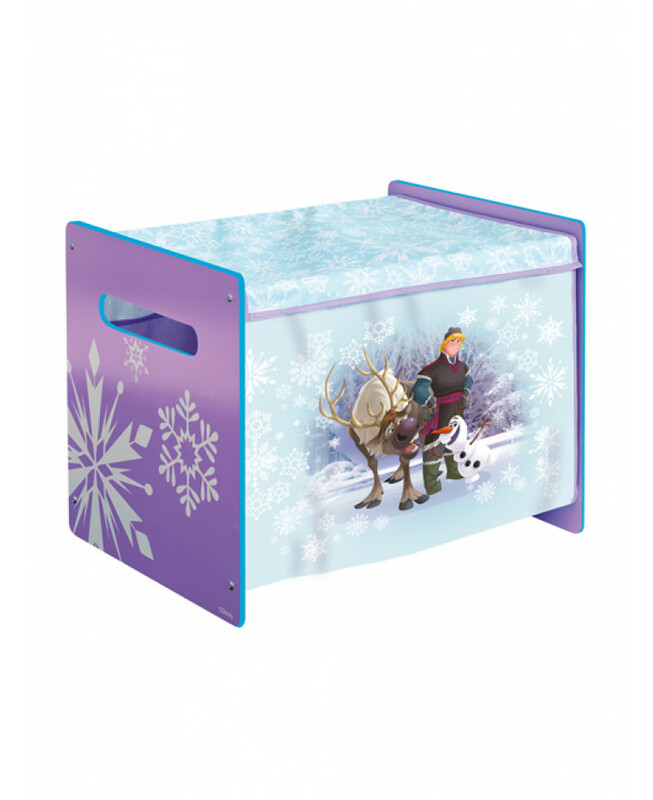 The toy box is tested to the highest child safety standards considering features like the size, height and weight and is quickly constructed using the easy to use instructions supplied.